New Cultiver Montréal Network ! 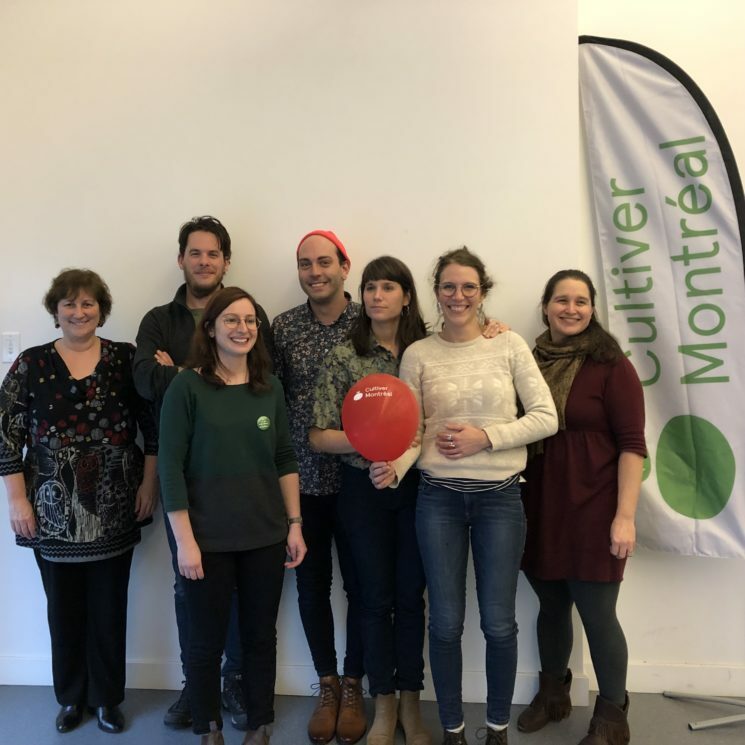 On November 30th, 2018, a major event for urban agriculture in Quebec was held, the founding meeting of the brand new organization “Cultiver Montréal”, whose main mission is to support, encourage and contribute to the development of all forms of agriculture in the Greater Montreal area by: bringing together and coordinating local actors; sharing information and resources; promoting and raising awareness; and political advocacy. Alternatives has been leading this initiative since 2010 as a project within their organisation. We owe them thanks and recognition for the great work in developing our industry and mobilizing the actors to raise the profile of Urban Agriculture in our fair city. Thanks in large part to this work, Montreal is now considered a global leader in Urban Agriculture. Composed of organizations representing various sectors of urban agriculture from commercial producers, to well as social organizations involved in urban agriculture in Montreal, the Réseau Cultiver Montréal is an inclusive and promising project that will definitely inspire while highlighting local initiatives. Considering that the urban agriculture community is mature enough to be able to take part in the major decisions being made at the City of Montreal, and in other important bodies, and considering that the various organizations and companies want the voice of all urban agriculture actors to be heard, and not just that of a few major players, it was decided to incorporate Cultiver Montréal as a non-profit organization. mentions Tereska Gesing, co-founder and owner of Urban Seedling. From left to right : Michel Lambert and Gaëlle Janvier d’Alternatives, Claudia Atomei d’AU/LAB, Marie-Anne Viau de Santropol Roulant, Sara Maranda-Gauvin de On Sème, Guillaume Vallée-Rémillard de GRAME, Tereska Gesing from Semis urbains and Lauren Pochereva from Ça Pousse! Invite government representatives, companies, researchers or others as appropriate and appropriate to the topic being discussed to the committees. Organize or offer technical training to friends and members. The next steps will be to take charge of the organization of the Montreal Seed Saturday weekend, the Rendez-vous des agricultures montréalaises, and the Cultiver Montréal Fairs. 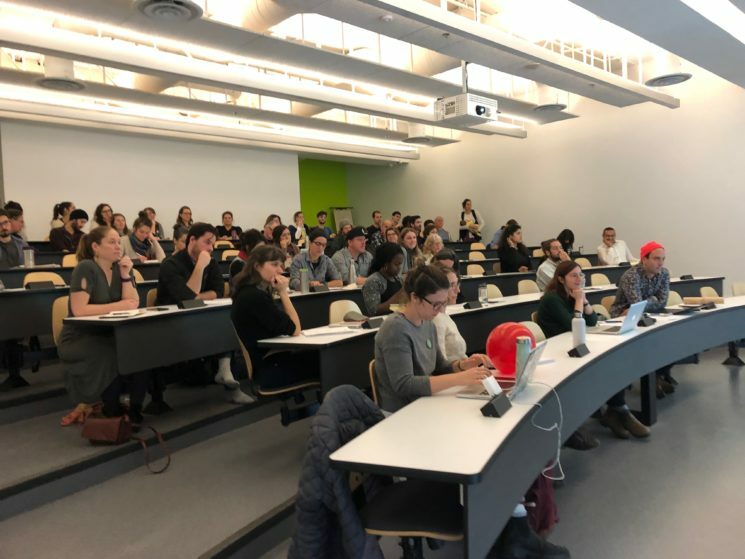 The Réseau Cultiver Montréal is also deepening its collaboration with regional bodies such as the Conseil-SAM, MAPAQ, UPA and Ville de Montréal to ensure that it can properly represent its members. A special thanks to: Michel Lambert et Gaëlle Janvier d’Alternatives, Claudia Atomei d’AU/LAB, Marie-Anne Viau de Santropol Roulant, Sara Maranda-Gauvin de On Sème, Guillaume Vallée-Rémillard de GRAME, Tereska Gesing de Semis urbains et Lauren Pochereva de Ça Pousse! formed a sub-committee to synthesize the last two and a half years of consultations during the Rendez-vous to extract the mission and objectives desired by the community for this type of initiative, and to draft general regulations and values statements. Organization involved : Alternatives, AU/LAB, Santropol Roulant, On Sème, GRAME, Semis urbains, Ça Pousse!, PAUSE, Sentier Urbain, Le Dépôt, MicroHabitat, Écopap, Conseil-SAM, Les Fleurons du Québec, Y’a Quelqu’un l’aut’bord du mur, Insecto, Cégep de Victoriaville demain, Coopérative Agricole Urbaine Responsable, Miel Montréal, Potager africain du Québec, Projet Harmonie, Union des Producteurs Agricoles Outaouais-Laurentides, Paysage gourmand, Jardin botanique de Montréal, Arrondissement Sud-Ouest, Arrondissement Verdun, City Farm School, Société écocitoyenne de Montréal, Rucher Reine Noire, FIHOQ, Grand Potager, Alvéole, Carrefour alimentaire Centre-Sud, Ordre des Agronomes du Québec, Société environnemental de Côte-des-Neiges, Projet Montréal Verdun, Projet Montréal MHM, Espace pour la vie, Botaphyte, Ville en Vert, Re-set Tech, La ferme Pousse-menu, Fédération des sociétés d’horticulture et d’écologie du Québec, Urban Worms Montréal, Les jardins Carya, Regroupement des éco-quartiers, VertCité, Seedtheglobe, Lufa farms, Coopérative Abondance Urbaine Solidaire.